South Park Review: "The Cissy"
After stumbling a bit last week, South Park came back in a pretty big way with this week taking on gender issues in the most sensitive and inclusive ways possible – by having Cartman discipline a school toilet with a cat whip. This was a surprisingly pretty great episode. The satire was layered, there were actual jokes, characters stayed true to their personalities. 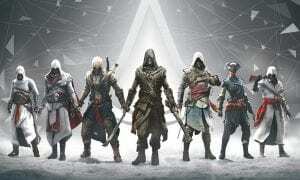 It also took on a subject that could actually ruffle some feathers for once, instead of just feeding into subjects that almost everyone unanimously agrees on, like the past few episodes. 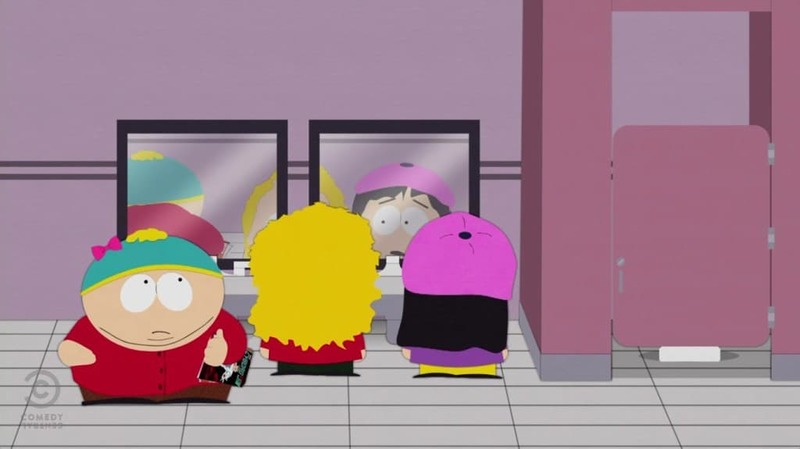 The events of the entire episode are kicked off by Cartman not being able to use the stall he wants in the boys bathroom. Magazine in hand and ready to annihilate another toilet, he is denied his favorite stall by Craig who tells him he can’t claim stalls. This scene also brought back one of my favorite sight gags, which is Butters having to have his pants all the way down and shirt pulled up to use a urinal correctly. I can’t help but at least chuckle every time they do, because it shows just how weird and disconnected Butters is. 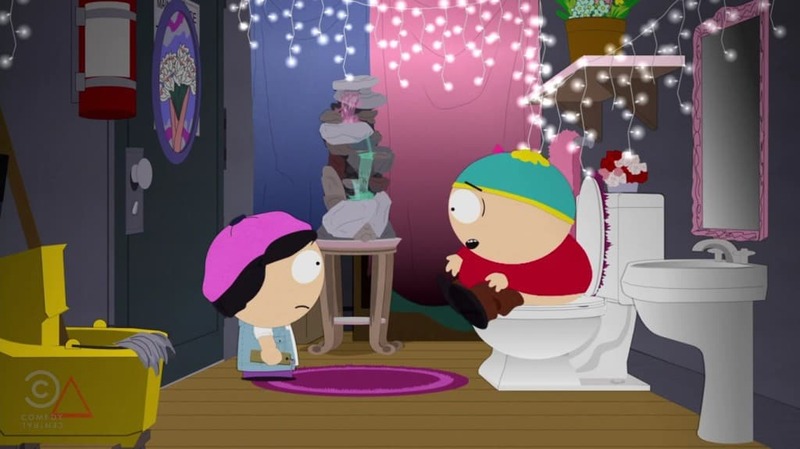 From there, Cartman decides his only option is to dawn a pink bow, declare himself transgender (or “transginger” as he incorrectly calls it) and trounce into the girl’s bathroom to use their stall. Despite protests from Wendy and other girls occupying the bathroom, he goes into the first stall he sees and proceeds to use it with the loudest of number two noises he can conjure. Sure, I’m a twelve year old internally and laughed at this, but the juxtaposition of him being in such a pretty looking bathroom and being the same gross fart-noise-making Cartman was funny to me. This is also where the main conflict, and the first layer of satire, for the episode starts. Wendy and the girls refute Cartman’s right to use the female bathroom as he’s only pretending to be transgender. After deciding they would rather not invoke the wrath of transgender rights advocates the world over, the school’s faculty builds a special bathroom just for Cartman to satisfy both parties. From here it looks like South Park is pretty harshly making fun of transgender people and calling them “fake” to gain unfair advantages. “Erica” Cartman pretends to identify as female to use their wonderful toilet stalls. Matt and Trey are making a pretty clear effort to connect episodes, as the next scene after the whole issue with Cartman, introduces a reporter for Spin.com (who ran an negative article about the Lorde bit in last week’s episode) trying to track down “Lorde” who, as it was hinted at last week, is actually the 45-year-old geologist known as Randy Marsh. The reporter begins interrogating people around the town of South Park and slowly gets closer and closer to the truth as the episode goes on. At the same time, Randy’s wife also finds the stockings that he uses in his Lorde disguise hidden in his jeans and questions him about it. Randy quickly explains it away and calls his (Lorde’s) record company to tell them he’s getting pressured about his double life. Not wanting to lose their money making sensation that is Lorde, the record company essentially tells him to deal with it and decides that they will kill anyone who gets too close to the truth. Wendy, always the anti-Cartman, comes into school herself dressed as a boy, calling herself Wendell just to show up Cartman and stop him from pretending and taking advantage of everyone. She surprises him in a pretty funny scene where she walks in on him using his exclusive bathroom and he is forced to go to the principal who explains to him that Wendy is also transgender so she has every right to his bathroom as well. In general, Cartman begins to be nothing more than a bully using his new identity as a shield and begins drumming up support for other kids to do the same and bully anyone who doesn’t agree with Cartman. It’s not a new story line by any means, but they went about it in a new way that tackles a current issue and I applaud them for that. The story of Cartman and the other kids in this episode is a pretty direct shot at Tumblr users, and anyone who uses their own disadvantages as shields to bully with no repercussions. It’s a pretty deep meaning hidden under the visuals of Cartman cat whipping a toilet before he wrecks it, and it finally takes on a subject with two legitimate sides to the argument that isn’t all surface level. There are going to be a lot of people that misinterpret and get flat out angry at this episode and that is what the heart of South Park should be. Not the easy, feeding into the hivemind idea episodes they’ve been doing for years. This feels like an episode that will actually be controversial for once and it’s great. From there Cartman and Wendell’s battle mostly gets pushed to the side as the episode focuses more on Stan avoiding having his Lorde identity revealed, mirroring the serious side of trangenders and the struggles they go through, as opposed to the kids just faking it for a special advantage. It also opens up into the best scene in the episode. Stan, struggling with his girlfriend Wendy who is now identifying as a male, goes to his dad for help. He asks him how a person can be one thing on the outside and feel another on the inside and other questions usually raised around transgender people and naturally Randy thinks Stan is talking about him and admits that he is indeed the teen singing sensation Lorde. 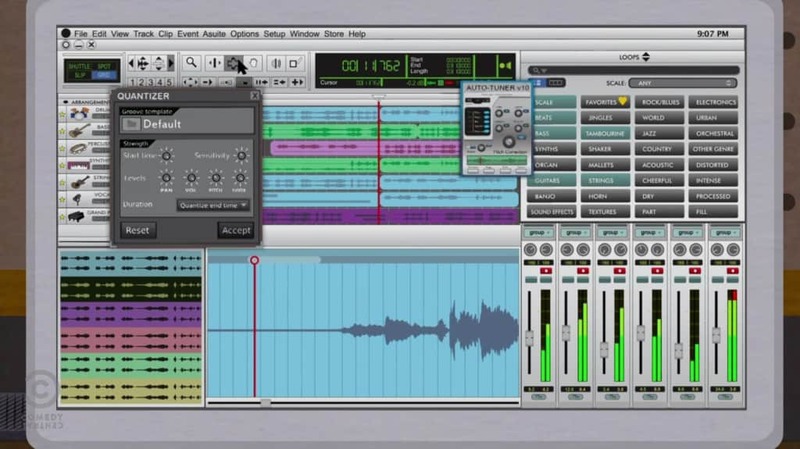 In order to prove it to Stan, who doesn’t believe him, Randy walks through the process he goes through to turn his terrible singing in to the great voice of Lorde by showing a pretty damn accurate version of audio mainupulation program where he adds background instruments and vocals as well as autotune. The voice goes seamlessly from Stan’s singing into Lorde’s voice and it’s a pretty funny/accurate riff on the record industry and how easy pop music is to manufacture. He also reveals that he did the whole act just to use the girl’s bathroom at work and how freeing and clean it was compared to the male bathroom. It’s a pretty obvious analogy for the feeling of being male and wanting to being female and vice-versa. Again, it’s just like Cartman’s story but the show is using Randy to show the serious side of it while using Cartman to show the fake side of people using it as a way to bully without repercussions. They seriously put a lot of work into making this look like professional software. That whole joke of Randy being Lorde is kind of a one trick pony (hearing “Lorde is a 45-year-old biologist” is pretty hilarious the first time, but it wears thin) that gets dragged out a bit over the second half of the episode but it’s used as a way to address real issues of transgenders in a surprisingly simple and touching way. A real Lorde song plays over the last couple minutes of the episode as it shows all the character coming to terms with their situations. The Spin.com reporter, deletes his story outing Lorde, Stan continues to try and understand the bathroom issue, and Butters dances around in a pink tutu. Overall, the message of the episode is a great one of acceptance and anti-bullying. Don’t bully, no matter your circumstances, no matter your disadvantages or your advantages in life, and remember that Lorde is a 45-year-old man. A good message and layers of satire don’t make a perfect South Park episode and this definitely wasn’t perfect (there were some unfunny stretches, jokes got overused, and there some times when the message got a bit too pushy), but it was well written, mostly funny, and the characters were great and used appropriately while staying true-to-character.